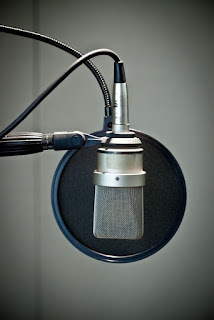 Rick Lance Voice Acting News: Is Fiverr the Right Place to Offer Your VO Skills? Is Fiverr the Right Place to Offer Your VO Skills? If you’ve never heard of the website Fiverr, let me open with a quick explanation. Fiverr is an online marketplace where freelancers sell their services for the rock bottom price of just $5. This includes graphic artists, singers, translators, you name it - if it’s a service that someone can provide, it’s on there. If you take a look at the site, you’ll also see plenty of voice over artists, which has made me wondering - is Fiverr a good place to market your VO talent? There’s really no yes or no answer to that question, and actually, it leads to another and even more important question - how much if your time really worth? Let’s break down how much time would be involved in putting together a 30-second recording for someone, because it’s certainly not just 30 seconds. There’s also coordinating with the client, recording, editing, any re-recording that’s requested, invoicing, and then possibly coordinating with the client again about payment. When you think about it like this, you probably realize that there’s a lot more time involved than you initially thought. While it can be tempting to to jump on the Fiverr bandwagon, especially if you’re new to the industry and trying to land any gig you can, you’d do well to think long and hard about just how much your time is worth. On the flip side, there have been a few success stories about VO artists who have managed to rake in quite a lot of money using the site. The best example of this is the woman who narrates pieces in a British accent, who’s currently pulling in about $10,000 per month and has even had to subcontract some of the work just to keep up with the demand. So is Fiverr the best place to market your voice over skills? Well, it’s probably not the best place, and you should certainly employ some other marketing strategies, but it wouldn’t hurt to at least check it out. Weigh the cost of your time against what you’d actually pull in, and there’s your answer. Frankly, Fiverr is not for me. But then, the approach to my career is not compatible with that business model.